Sometimes when an all-new model comes out, it can be difficult to find everything that’s changed from the outgoing model – but not this time! 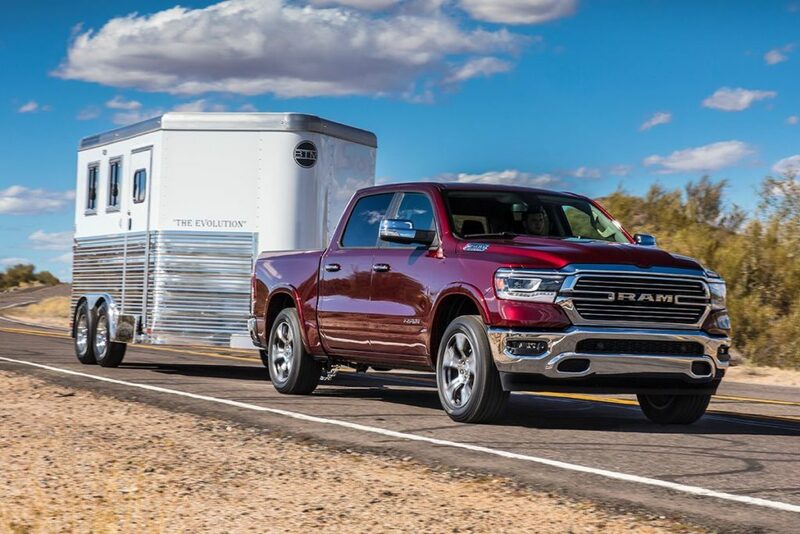 Here at Armstrong Dodge we’re breaking down the differences between last year’s RAM and the all-new 2019 RAM 1500. So sit down, strap in, and prepare to be educated! Compared to the 2018 RAM 1500 the new 2019 RAM 1500 is both lighter and more aerodynamic for both better performance and increased fuel efficiency. It starts with the stout ladder frame, which now incorporates more aluminum and high-strength steel to shed 100 pounds. An aluminum hood and tailgate also shave precious pounds, while the sleeker and more attractive design cuts through the air with increased efficiency. There’s even a new deployable air dam underneath the front bumper to help cut down on aerodynamic drag at speeds above 60 km/h. The big news under the hood is the new eTorque system standard on the 3.6L V6 and optional on the 5.7L Hemi V8. 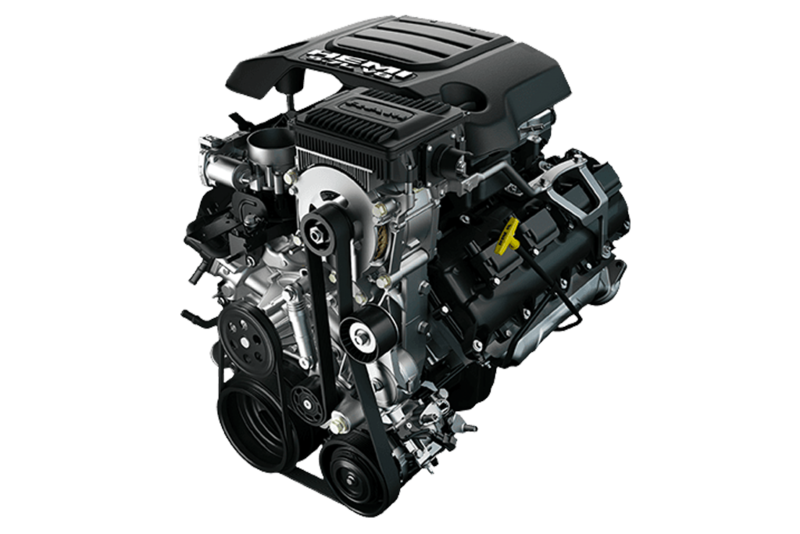 This system uses a 48-volt mild hybrid system to boost engine torque by up to 90 lb-ft on the V6 and 130 lb-ft on the V8. This system also manages the automatic stop/start system that’s now standard across all RAM 1500’s! Unfortunately diesel aficionados will have to wait until 2019 before the 3.0L EcoDiesel V6 returns. Obviously this new RAM 1500 is more capable than the one it replaces (what’s the point if it wasn’t?). The old RAM 1500 had ratings of 10,640lbs towing and 1,880lbs payload, not bad, but the new truck easily eclipses those numbers. How does 12,750lbs towing and 2,320lbs payload sound? Those numbers make it one of the most capable trucks on the market! The new 2019 RAM 1500 isn’t just more capable, it’s also more luxurious than the previous RAM. Rear legroom grows from 40.3 inches to a whopping 45.2 inches. 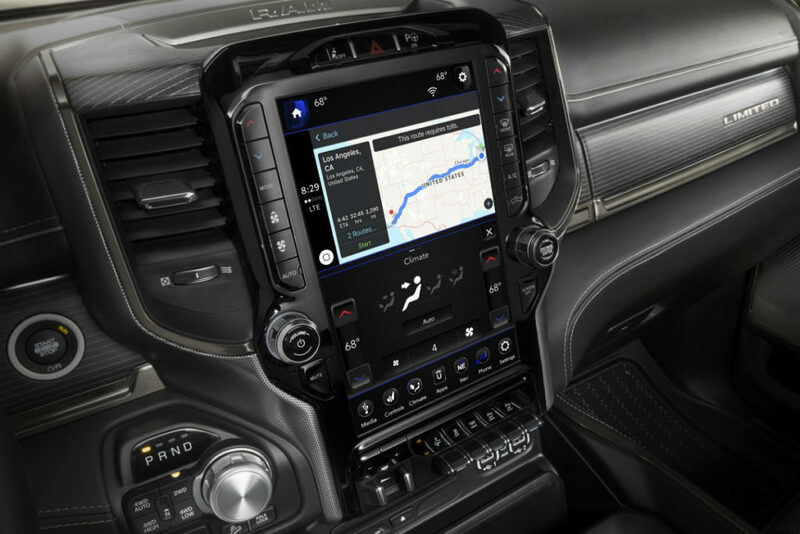 The touchscreen has also grown in size – the largest previously available was 8.4 inches, now you can opt for a massive 12 inch screen that’s simply the largest ever offered in a pickup. Other new features include a wireless charging pad, up to 5 fast-charging USB ports, and a 19-speaker Harman/Kardon sound system. The 2019 RAM 1500 also comes equipped with a suite of electronic safety features that the 2018 model could only dream of. 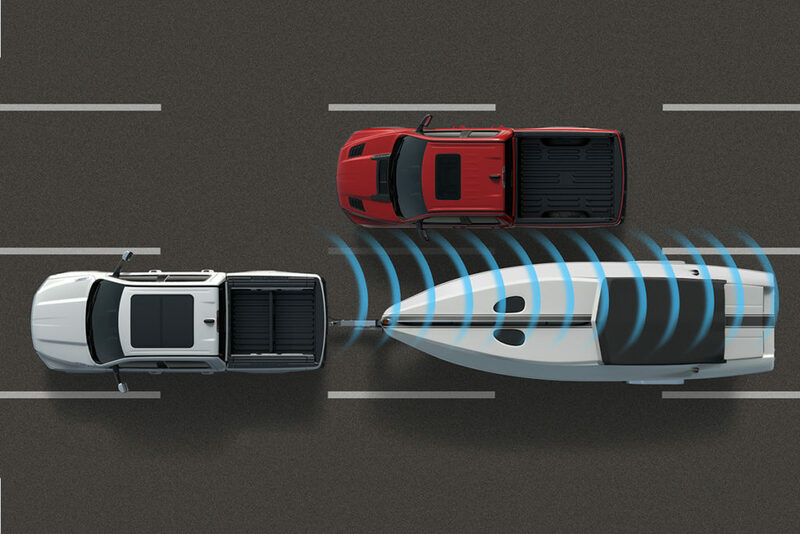 These new systems include Adaptive Cruise Control with Stop technology, Lane Departure Warning with Lane Keep Assist, Blind-Spot Monitoring with trailer detection, and even Forward Collision Warning with Active Braking. Put it all together and the new 2019 RAM 1500 promises to be the safest RAM ever! 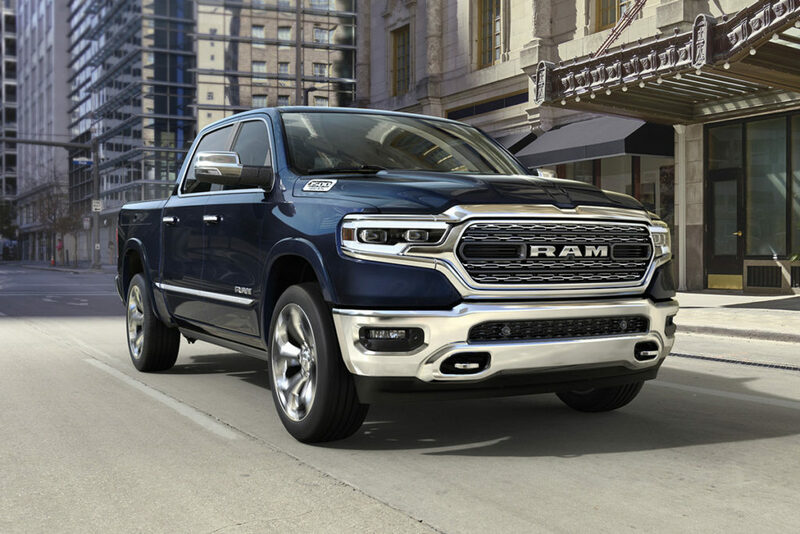 So regardless of whether you’re interested in the all-new 2019 RAM 1500, or the previous-generation 2018 RAM 1500 rest assured that Armstrong Dodge has them both! Contact Us for more information on the 2019 RAM 1500 and to keep updated on this incredible half-ton pickup. Meanwhile both our New Vehicle Inventory and Used Vehicle Inventory have plenty of RAM 1500’s from 2018 and earlier. Like we said, the choice is yours!